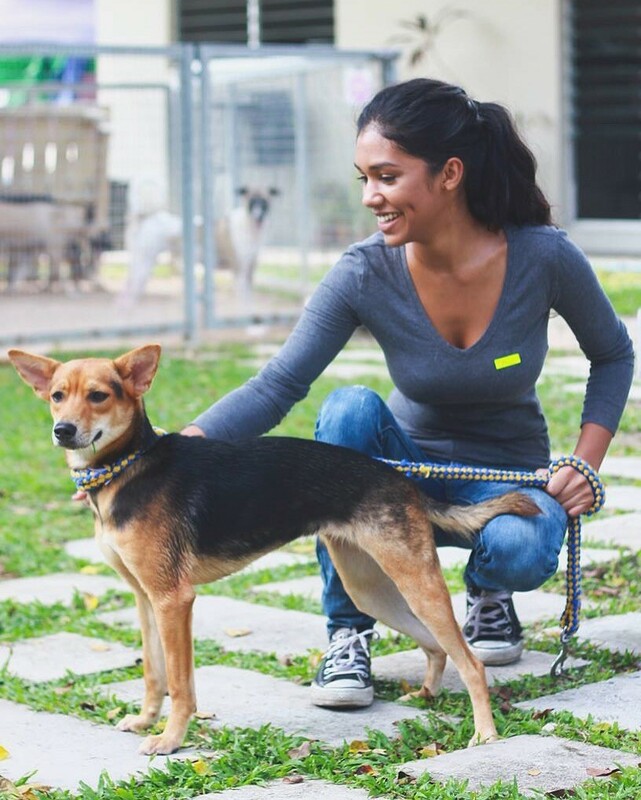 Seema Prasad – Blog 4: the SPCA – Community engagement in action! Most of my work at the SPCA requires me to “sayang” or love the animals. The Selangor SPCA is the largest and best run animal shelter in the state of Selangor, and arguably all of Malaysia and luckily, I live across the street from it. I started volunteering with the SPCA after work and on weekends about three months ago, and with it came an array of two-legged and four-legged friends (and one three-legged friend). I have been involved in animal rescues and recoveries that have been invaluable lessons for an animal lover such as myself. Mandy, my favourite 3-legged girl lost one leg due to sever abuse. Originally destined to be put down, her optimism and sweet heart compelled the directors to keep her. She now happily runs free on the SPCA grounds. Through my time at the SPCA, I have learned how to care for dogs in distress and how to better care for my own dog, and my love for animals has since grown. The time and effort I spend at the SPCA has landed me a job offer, and although I would have loved to say yes, I had to turn it down. Although the SPCA closes at 4pm and I usually arrive around 5:30pm after work, I am always welcomed with warm smiles (and barks). I am lucky to have close relationships with the workers there. Terry is one of the trustees who I enjoy talking to and spending time with. She always has different Malaysian snacks waiting for me. Pradeep is an older Indian man who refers to every dog as “sayang” or “love”. We exchanged treats for Diwali and enjoy talking about the differences in North Indian and South Indian cultural practices. I get constant reminders that my help is appreciated and that is one reason why I keep coming back. Volunteering with the SPCA also taught me the importance of community engagement. Working alongside locals has brought on friends and experiences I wouldn’t otherwise have had. I am able to fill my free time with something I feel good doing. Being able to work on and understand two communal issues with two different NGO’s provided me with a deeper understanding for my community. Being able to connect these two NGO’s through relationships and programs I’ve developed has been very exciting and rewarding. The SPCA is not extra work for me, but a place where I have an abundance of furry and human friends. It has been an invaluable addition to the work I am currently doing with MSRI and is an experience that I will take with me throughout my life. The SPCA deals specifically with cats and dogs only. There are thousands of stray cats and dogs in Kuala Lumpur and its surrounding areas, and hundreds in our city of Ampang alone. One cat can have a litter of 2-5 kittens while one dog can have a litter of 6-10 puppies. Cats can get pregnant at as young as 4 months old while it takes a female dog at least 2 years to be able to reproduce. For this reason, the number of strays in KL is increasing rapidly. 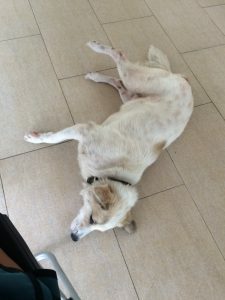 The SPCA is an NGO as the Malaysian government does not support animal shelters, although this is slowly changing as the number of strays and animal abuse cases is increasing. The SPCA has many influential partners and trustees that are pushing for reforms in animal welfare laws in the state of Selangor. In fact, just 6 months ago, the state of Selangor funded a subsidized stray and neuter program through another animal shelter. This is the first time any state in Malaysia has funded a program through an NGO focused on animal welfare. Sweet puppy Rosie is being fostered by one of the workers. Currently, the government deals with the problem of strays through a catch-and-kill program. Private dog catchers are paid for every stray animals they catch, and then entrusted to kill and dispose of the body in a humane way. Local NGO’s have many speculations on how these dog catchers deal with strays, and none of them are humane. The SPCA and other animal shelters use a catch-neuter/spay-release program to deal with the stray animal problem. 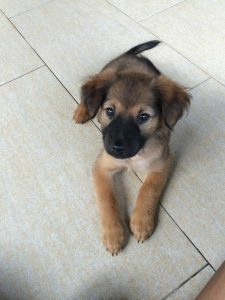 The SPCA has a specific program that encourages communities to bring in animals in their area for neutering/spaying by subsidizing the costs of these procedures and providing catch-kennels. 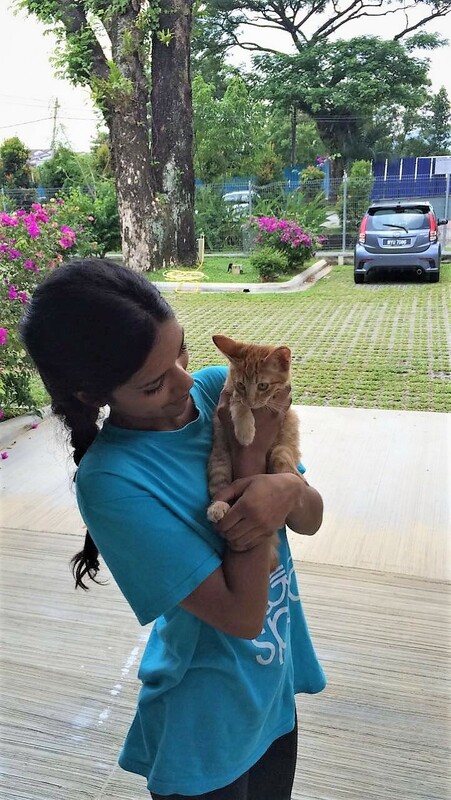 The program is called “Stray Free Selangor” and it educates communities on humane ways to treat strays and deal with the rising numbers of stray animals. The royal family of Selangor is an advocate and a sponsor of this program. Here in Malaysia, dogs have it worse than cats. Malaysia is an Islamic country. According to some of my Muslim friends, in Islam you cannot pray with dog hair on you and you cannot touch a dog if either one of you are wet. For these reasons, a dog is less popular choice of a pet than a cat. While I see 6-8 cats adopted every week from the SPCA, I rarely see dogs being adopted. On a good week, we will see up to 4 dogs adopted, while most weeks none. The follow-up after an adoption is very important. The SPCA requires videos of the adopted animal every couple weeks for three months following the adoption to avoid sending our animals to the wrong homes. Benson one week after his surrender. He is on track to making a full recovery. Animal abuse cases will unfortunately always exist. I was exposed to some of these cases while volunteering and Benson’s story particularly sticks with me. Benson was adopted about a month ago and recently surrendered back to the SPCA. After seeing something was clearly wrong from a follow-up video of Benson, we told the owner to bring Benson back immediately. When Benson arrived at the SPCA, he was covered in ticks. He had generations of ticks on his skin and tick eggs in his ears. His paws were chewed up with maggots in them, and part of his tail was chewed raw. He also had a urinary tract infection. We believe he chewed his paws and tail because of the pain he was in from the ticks. The urinary tract infection was probably a result of not having access to clean water. With his ribs showing, he also looked like he hadn’t eaten much in weeks. 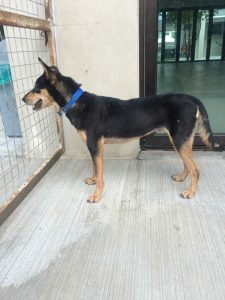 Within 3 weeks, the condition of this dog was like night and day. The workers were furious with Benson’s owner, and also guilty that Benson was forced to live in such horrible conditions. I am happy to say that Benson is in the process of recovering. He has his lovable and energetic attitude back, along with his thick tummy and slick, shiny coat. As for the former owner, we did not press charges because we believed doing so would discourage others from surrendering their animals when they are unable to care for them. 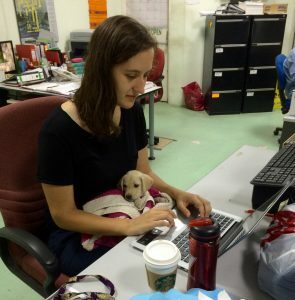 Marlin keeping baby Chloe warm while getting some work done in the MSRI office. Because I am so passionate about animal welfare, I try to raise awareness for these issues in other areas of my life. I started a recycling program in the office. My coworkers place their clean, dry office paper in a box, and from there some students who stay late after school come to the office to shred the paper. I then take the paper to the SPCA where it is used as cat litter. I also fostered a puppy for one day to raise awareness of the baby animals needing foster homes. The puppy came with me to the office and to the school. I answered many questions from my coworkers, students and fellow teachers. Interacting and creating relationships with other NGO’s is an important part of branding and establishing a company. I hope that MSRI and the SPCA continue to have good relations after I leave. My name is Seema.  I am a third year anthropology student at UVIC currently interning at MSRI. MSRI is a refugee help center in Malaysia. I work in the school with 250 refugee children. This blog is a collection of thoughts and reflections on my time here in Kuala Lumpur.